It seems that the lines between nonprofits and politics/government have been blurred a bit lately. As has been reported in NPQ for some time, the Johnson Amendment, which is designed to ensure that nonprofits are nonpartisan and do not become aligned with one political party or another, has come under attack. But even with the amendment still in effect, here comes yet another story in which corporations may be making donations to nonprofits for political reasons. Consider this scenario: A local nonprofit has announced a gala event at a very exclusive club. The two-day event is invitation-only and honors the senator of the state where the nonprofit is located. Sponsors will have the opportunity to spend the two days alongside the legislator himself, who has a leadership role in drafting new tax law legislation. Sponsorship levels range upwards in excess of six figures. Sounds like a very nice opportunity for some corporations to give—and, in return, get access to the legislator. Sounds like a nice chance to push for specific elements of the new law that might benefit the company offering sponsorship. Sounds like a lobbying opportunity, and so should be reported by the company under the law known as the Lobbying Disclosure Act. In 2007, an amendment known as the Honest Leadership and Open Government Act was passed, requiring companies and lobbyists to report just this kind of charitable donation to a nonprofit. According to a report from the Center for Public Integrity, this very scenario played out with an event honoring Sen. Orin Hatch (R-UT) in August of 2017, hosted by the Orrin Hatch Foundation. 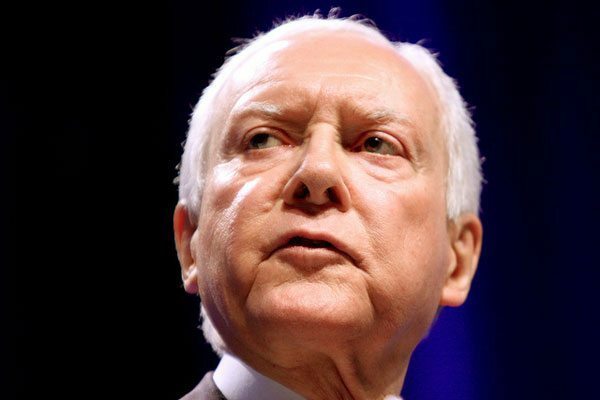 The Foundation’s mission is to raise funds to support the establishment of a library to hold documents from Sen. Hatch’s tenure in the Senate. The Foundation’s two-day event was held on the day following a campaign fundraiser for Hatch at the very same club. Companies that had spent large amounts of money in lobbying attempts to influence the new tax bill were invited to the event. Companies like Merck and Visa made donations and attended the event. The report indicates that as many as 20 companies that participated in the event did not disclose their donations. Many other companies did make full disclosure in the required manner, and when asked why they had not, two companies agreed that they should have and amended their filings to include the donations to the event. The question that this brings up is what exactly falls under the disclosure requirements of the Lobbying Disclosure Act. Companies could argue, for example, that a donation to a nonprofit need not be disclosed if the legislator or any of the legislator’s staff are not on the controlling board of directors. If they are honorary directors, for example, it might fall outside the law. According to the CPI report, there are a number of such loopholes in the law. An example took place in Wyoming, where a nonprofit lists two senators and a representative as honorary board directors. At an event, the two highest sponsorship levels ($25,000 and $20,000) would be recognized as generous donors in letters to those legislators. Of the sponsors of the event, 16 are regularly engaged in lobbying activity, but only two chose to report their contribution. Despite the fact that there is a document offering guidance on compliance, oversight is lax. When the new law was passed in 2007, as many as 600 companies filed, reporting the following year that they had made contributions in excess of $200 to nonprofits or events related to a legislator. More than 200 of those companies never filed a report again. This law apparently has no teeth.